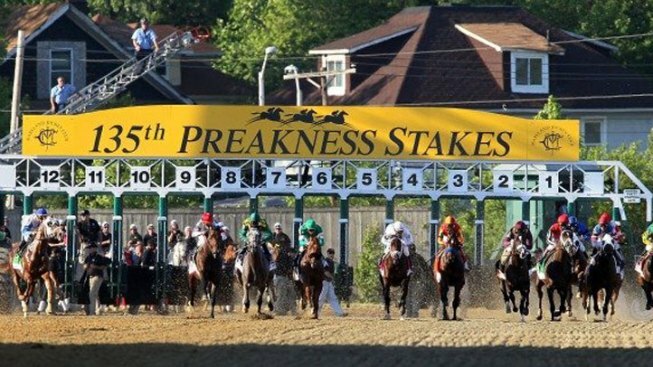 Saturday, the Preakness Stakes will be run at Pimlico Race Course. One of the biggest traditions at the race is the singing of the Maryland state song, "Maryland, My Maryland." The song is a controversial one, stemming from its lyrics and origin. During the Civil War, Maryland was a border state, and it's Confederate sympathizers are responsible for the state song. "It's a secessionists song, and some people might say it's a treasonous song," says Burt Kummerow, president of the Maryland Historical Society. The song came to be in Baltimore, just after the war broke out. "On April 19, 1861, just a week after Fort Sumter was fired on, federal troops coming through Baltimore and getting off trains and onto trolley cars and eventually walking through the streets, were attacked by a large mob," Kummerow says. Four soldiers and at least 12 civilians died. The news spread quickly, and eventually got to a teacher in New Orleans who was originally from Maryland. James Ryder Randall wrote a poem called "Maryland, My Maryland," and its sympathies were easy to decipher, according to Kummerow. "It harked back to the Revolution and all these events that happened in Maryland. And started talking about the fact that despots heel was on the shore of Maryland, and Maryland had to come to the cause to fight off this Northern tyranny," he says. The despot in question: Abraham Lincoln. A group of women in Baltimore soon put the poem to the melody of the song "O Tannenbaum," and it became a popular song throughout the war. But it didn't become the official state song until long after the war ended. Kummerow says that's because Confederate veterans were welcomed back into the state after the war, and they used their influence on another state emblem, the flag. "One of the symbols they carried with them during the war was the cross botany, known as the button cross. Which is now very much apart of the Maryland flag. It's the red and white part of the Maryland flag," he says. The black and gold part of the flag is considered the northern part, as the colors are those of Lord Baltimore, who founded the state. So Kummerow says the Maryland flag is a symbol of reconciliation.